12 Issues. Good condition considering age. Ships fast. Thank you for looking! The magazine is in excellent previously read condition. Date: May/June 2017. Pictures and illustration of how cathedral appeared before the recent fire. This National Geographic is a limited edition History issue. 12 Issues. Good condition considering age. January through August 1973, August 75, May & June 76, September 1977. Ships fast. Thank you for looking! It’s in great shape overall. Great opening price for a great savings. Don't miss out on this one! National Geographic Magazine. 12 issues from 1995 January - December and 6 maps. Overall very good condition with normal wear. 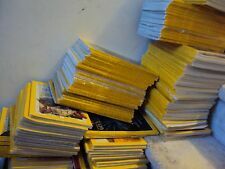 This is a set of all five National Geographic Magazines featuring the TITANIC. December 1985 – How We Found Titanic. December 1986 – A Long Last Look at Titanic. October 1987 – Epilogue for Titanic. 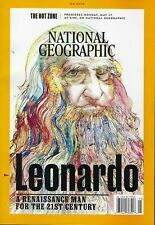 National Geographic's Complete 12-Issue 2017 Set. Don't wait, BUY IT NOW! The magazine is in fair to good previously read condition. There is staining on the cover which is taped on to the magazine, the spine and rear cover are gone but otherwise the magazine is fully intact. July August 2018. National Geographic History. We will resolve any issues you may have.